A quiet and Relaxing farm West of Magaliesburg. 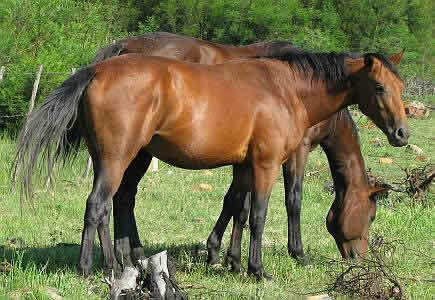 Wattle Wood Farm is a peaceful space that lies west of picturesque Magaliesburg town on the way to Koster. Away from cars, noise and just 12min outside Magaliesburg. That is just over an hour away from either Johannesburg, Gauteng or Pretoria, Tswane. The farm is 88 hectares in size and a large portion of this consists of a Black Wattle forrest (+-50h), with paths meandering up the mountain beneath its canopy. The remainder of the farm consists of a mountain top with breath taking views of the Magaliesburg mountains, organic farming with herbs and seasonal vegetables, fields of planted grass (eragrostis and smutsvinger), a stream whose source is on the farm and grazing areas for the indigenous animals. Hot Gauteng Firewood Special ! R850-00 for a bakkie load of dry firewood Collect ! 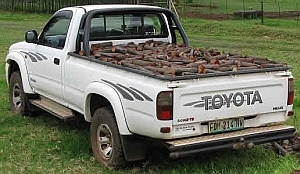 A 1-ton bak (normal bakkies) full of Black Wattle firewood for only R800-00. This offer applies only to collect orders of loose wood loaded directly into the bakkie. If you would like to take advantage of this offer please Contact Us and book a load (note 2 day notice ). This applies to collections of fire wood only. 1000 firewood bags of Black Wattle Firewood Collect @ only R 8.50 each !!! The above offer excludes delivery costs. For Delivery within 100 km of WattleWood firewood farm in Magaliesburg add an extra R 2.50 per bag depending on area. You can now have firewood bags delivered from only R 11.00 a bag !! Regretably this offer is available while stocks last. We require a 4 day lead period in order to finalise your order. We apologise for not being able to do small deliveries to either Johannesburg or Pretoria in Gauteng. We can offer you rates charged by independant sub contractors. Check out all our Firewood and Delivery PRICES. WattleWood Firewood Farm is happy to offer the following SPECIALS on bulk deliveries of firewood bags in Gauteng. Please note only E.F.T payments are accepted for this WattleWood firewood Special. Our speciality is Black Wattle firewood. We sell 10 kg plastic bags to people for braais and barbeques as the coals burn hot and produce heat long enough to have an enjoyable braai. Wattle is also ideal for use in home fire places because the wood does not splinter/shatter and produces a hot fire to warm the home. Meduim wood is slightly larger that the standard 10kg bag size, but is perfect for home fire places. Remember wider logs burn longer and thinner hotter and faster. Larger logs are sold for Bonfires. Wooden poles are produced from length of 1,2m to over 4m. Widths of up to 15 cm can be accommodated. Poles come either as is or with the bark removed. It is recomended that you have the bark removed especially if the wood is to be treated. Wood poles are used as tomato poles, post and rail fences and in other wooden constructions. Contact Us if you would like some wattle poles. Summer Special ! Create your own Wattle Screen Design & SCREENS. We supply enough wattle sticks to cover a 2m by 2m Wattle Screen. Included in the kit are +- 67 wattle dropper sticks each measuring 2m in length. A reseller opportunity not to be missed ! 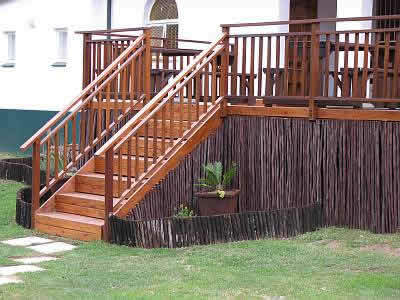 Collect your wattle screen / panel kits already cut to size and tied in a bundle (easy to transport ±12 kits in Bakkie). Make wattle screens from your own unique design at this incredible price. Any size screen up to 2m by 2m can easily be made. Resell or enjoy your masterpiece ! The sticks in the above KIT are tied with old baling twine (reusability) to form a wattle wood bundle. The Wattle bundles ( ±15 kits in Bakkie ) can thus be easily transported to a destination where the Wattle screens will be built and presumably sold. ±12 kits fit onto a bakkie up to 25 with a trailer ! The reseller then assembles the screens into the design they like (i.e. reduce the size to 1,8 by 1,8 ) or make Wattle panels by drilling holes through the droppers and threading with wire through them. Join the Wattle Panels to make a neat rustic Wattle fence. These reffer collectively to thinner trees or branches cut to different lengths. Panels are normally made from material this thick. 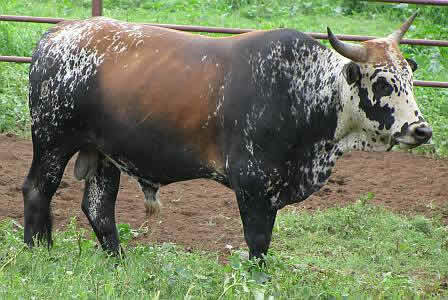 Droppers or Latte are used for fences especially farm fences where the wood lends a viasual indicator for animals. 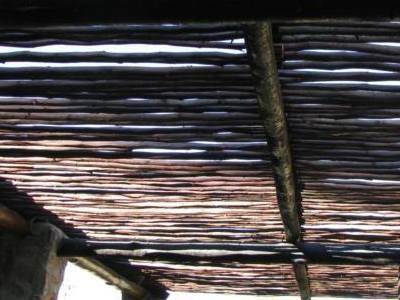 Another popular use is to create a lattice roof structure that is partially shaded as seen in the pictures above. Prices vary depending on the thickness and length of sticks required. Generally this is a Rand a Meter. Discounts are available for 100 sticks and more. Contact Us to place an order or Click HERE to view prices. Source of Firewood is ? Warmed by Wattle Wood Firewood.